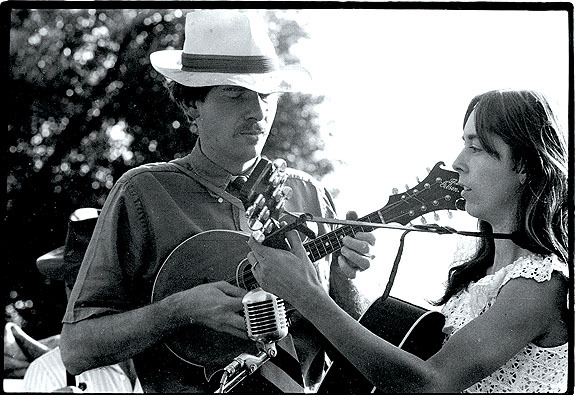 Peter studied at Chicago's Old Town School of Folk Music in 1960-61 with Frank Hamilton, Flemming Brown, Dawn Greening, and Win Stracke, taking time out to produce a weekly bluegrass and old-time radio show for WNUR at Northwestern University. 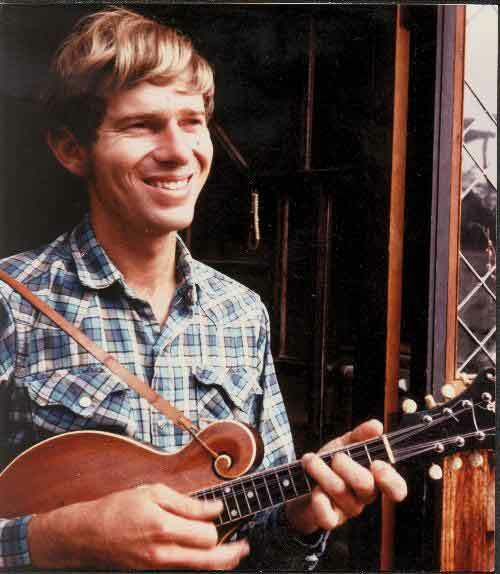 Returning to Santa Barbara in 1962, Peter performed old-time music with "Big Jim" Griffith while studying biology at UCSB. During the early 60's, there existed many on-campus political groups, often called "front organizations", espousing particular points of view. Peter founded "The Old Time Music Front", with the idea of subverting students' minds away from rock 'n roll with the sounds of old time, country blues, and bluegrass music. He was the first to bring performers such as Bill Monroe, Mance Lipscomb, and Ralph Stanley to the area, as well as organizing classes in the history and performance of American traditional music, teaching banjo, fiddle & guitar in university extension and adult education classes. Settling in the Bohemian Santa Barbara community known as "Mountain Drive", Peter organized an old-time and early bluegrass string band The Scragg Family, which traveled and performed for the next ten years throughout California, Nevada, and the West, playing clubs, college campuses, folk festivals and casinos. During this 15 year period, Peter produced weekly radio music shows, including rarely-heard live music, for over a dozen stations in Southern California. Other projects included film and television music scoring a position as Technical Advisor on a 1978 nation-wide made-for-TV documentary on bluegrass music, That's Bluegrass. While traveling, Peter continued his extensive collection of field recordings and photographs of musicians he encountered. His photographs and recordings have appeared on releases by Arhoolie, County, Rounder, and Smithsonian / Folkways records, as well as on his own lables. Kajsa Ohman is an invaluable musical ally, with her great voice and instrumental talent. We learnt this song from a Stanely Brothers Rich-R-Tone 78.